The Ministry of Interior (MoI) said on Sunday they have arrested a Mullah in Kabul who is suspected of helping another Mullah in the kidnapping of two young girls. The two girls were kidnapped two weeks, but security forces managed to rescue them. Meanwhile, the families of the kidnapped girls have called on government to arrest and prosecute the kidnappers. 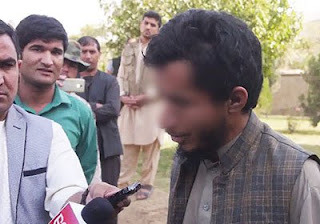 Mullah Gulbuddin, the suspected kidnapper who was arrested, has reportedly confessed that he kidnapped five girls in the past and moved them to Khost district in Baghlan province. He reportedly claims to have married two of them and gave three others to relatives in exchange for money. Three of his relatives allegedly each married a girl. According to the families of the victims, the Mullah had been teaching the girls the Quran. Mullah Gulbuddin was busy selling the girls each for 200,000 Afs when arrested by security forces.